You can call in at the branch during opening hours if you need support - no appointment necessary but subject to volunteer availability. We regularly visit local schools and colleges to give talks and attend well-being events. Please email [email protected] for more details. 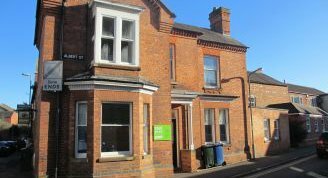 Banbury and District Samaritans have been in Albert Street - in the heart of the town - since we were founded in 1974 offering emotional support to around 20,000 people a year. We hold fundraising events, collections, give talks to local organisations, schools and colleges and are regularly out and about in the local area. If you have any queries about the branch, its administration - including fundraising, sponsorship opportunities & requests to talk at events - or any other enquiries you can email us using the "Make a general enquiry" link at the bottom of the page. An important part of Samaritans work is to reach out to people in the community and work with other organisations to raise awareness of what we do and offer support to as many people as we can. We have a very active outreach team which works with local schools and gives talks to anyone who invites us, so that we can spread the word! Everyone in the branch is a volunteer, from our Director to part time fundraisers. We have between 60 and 70 volunteers. Although Samaritans is best known for its volunteers who answer the phones, there are so many ways in which you can help us, for example we have roles in administration, fundraising and building maintenance. We need to raise money to continue our work and hold regular fundraising activities to find the £75 per day needed to run our branch. You can support us by coming along to an event, donating to us or offering ideas on how we can raise money. When you shop online you can raise funds for the branch at no extra cost to yourself by visiting our page at easyfundraising before you make your purchase. Banbury and District Samaritans is part of Samaritans, a charity registered in England and Wales (219432) and in Scotland (SCO40604) and incorporated in England and Wales as a company limited by guarantee (757372).